The International Court of Justice in the Hague (Den Haag) is the primary judicial arm of the United Nations. It was established by the United Nations in 1945 and is intended to resolve international disputes and provide legal opinions on international issues. 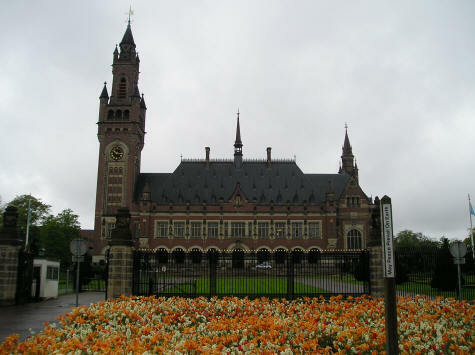 The International Court of Justice is located in the Peace Palace in The Hague (Den Haag) Holland.